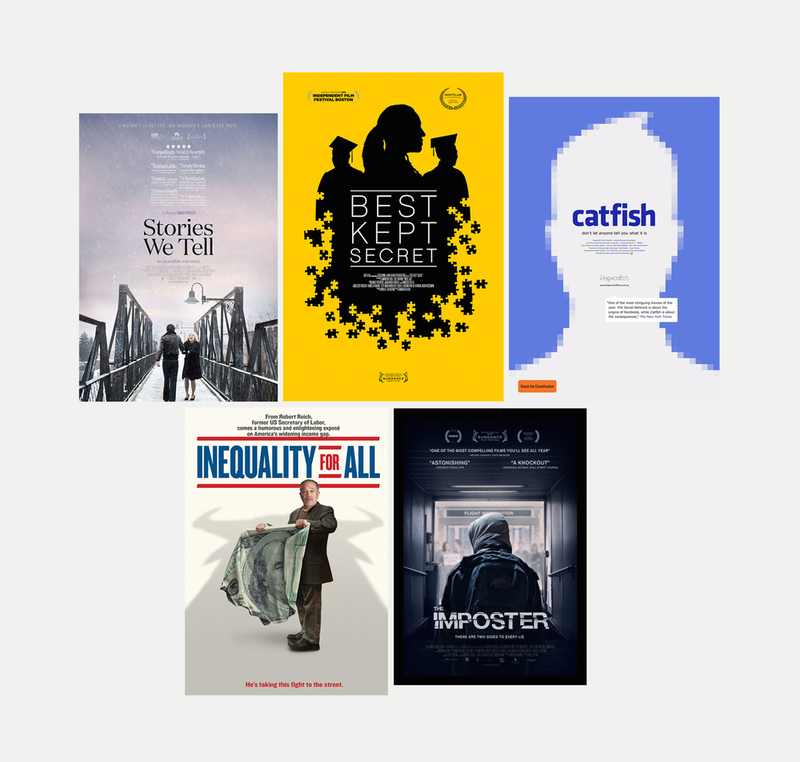 The obsession continues: here are five more documentaries I can't stop recommending to everyone I know. In case you're all caught up on "Serial" and in need of another true story to get lost in, these are full of tricky questions and stranger-than-fiction stories. In Stories We Tell, actress and writer-director Sarah Polley pieces together her deceased mother's secret past to answer a delicate question: did her mother have an affair, and is she the child of that affair? Through interviews with family members and her mother's old acquaintances, Polley explores how we reach "the truth" about someone based on faulty memories and contradictory stories. Best Kept Secret focuses on a class of autistic young men who will soon graduate out of the school system. Its star is one passionate teacher, Janet Miro, who works doggedly to ensure her students' livelihoods once they graduate. The film offers an honest and touching glimpse at a minority group that is too often overlooked. This year, "catfish" earned another official definition in Merriam-Webster: a "catfish" is "a person who sets up a false personal profile on a social networking site for fraudulent or deceptive purposes." In Catfish, Nev Shulman uncovers the reality behind his own romantic online relationship with a young woman. The story is so bizarre that you can forgive the cinematography's amateurish, vlog-style quality. In Inequality for All, professor and former US Secretary of Labor Robert Reich explores the severe income disparity between the extremely wealthy and everyone else in the US. Trust me, it's not as boring as it sounds. Though the issues at stake are politically charged, Reich approaches them in a fair and well-reasoned way. The Imposter tells the sensational true-crime story of an American family whose 13-year-old son goes missing. Three and a half years later, the family receives a phone call from Spain that their son is alive. Though the family identifies the boy as their own and brings him back home, the FBI begins to suspect the boy's unstable story. Is the boy the family's missing son, and if not, why is the family so convinced he is? If you've watched anything good lately, documentaries or otherwise, please share! I just started Fargo and I need to start saying "uff da" more often. See my last documentary film recommendations right here!